The group will perform a commissioned piece "In Honor of Martin" by Dr. David Hurd, accompanied by Jeff Jenkins on piano and John and Harry Olsson on drums and bass. 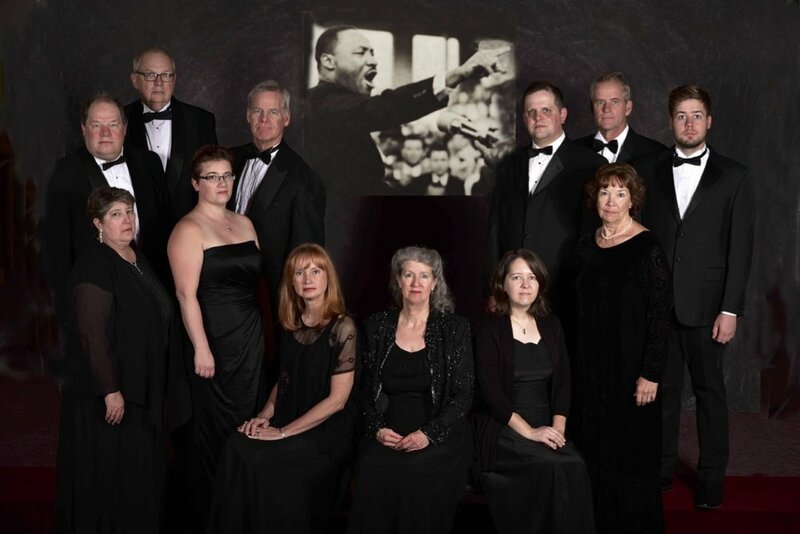 Confluence is joined in this concert by members of The Spirituals Project Choir. These groups all come together in commemoration of the 50th Anniversary of the assassination of Dr. Martin Luther King Jr. (April 4, 1968-April 4, 2018). You will hear the beautiful piece written in memory of Dr. King as well as many haunting and meaningful songs carrying Dr. King's hopes for peace and tolerance forward, at a time when the world still needs his healing message.